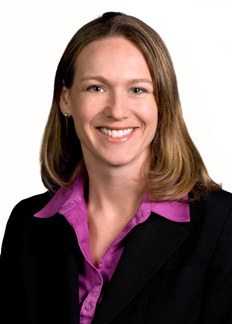 Jennifer A. Hansen is a partner in the San Diego Office of Hooper, Lundy & Bookman. Ms. Hansen serves as Chair of the firm's Medical Staff Practice Group and is a member of the firm's Fraud & Abuse Practice Group. Her practice includes representation of hospitals, medical staffs, nursing homes, physicians, pharmacies, and other healthcare providers and suppliers in a wide range of matters, including general litigation, medical staff law, managed care litigation, physician licensing, reimbursement, regulatory, and long-term care issues. She also represents hospitals and hospital systems, post-acute care providers, physicians, and other ancillary providers in managed care payment disputes, both contracted and non-contracted, with health care payors and has assisted provider clients collect millions of dollars in unpaid and underpaid patient claims through settlements and through arbitration and court proceedings, including obtaining awards of interest. Ms. Hansen conducts investigations and advises clients on compliance issues relating to health care operations. Ms. Hansen has served as counsel in multiple medical staff hearings and has defended physicians in numerous administrative hearings before the Medical Board of California. She has represented hospitals, long term care facilities and adult residential facilities in challenges to citations and deficiencies issued by the Department of Public Health and the Department of Social Services. Ms. Hansen has handled numerous cases before the Department of Health and Human Services Departmental Appeals Board. She has arbitrated and resolved a variety of cases for healthcare providers in dealings with health plans and insurance companies. In 2010, Ms. Hansen was recognized by the San Diego Daily Transcript as one of San Diego’s outstanding young attorneys. In addition to her health care practice, Ms. Hansen is firmly committed to community service. In 2009-2010, she received the California State Bar Association’s Wiley W. Manuel Award and Legal Aid Society of San Diego’s Outstanding Service Award. Ms. Hansen earned her B.A. from the University of Wisconsin, Madison, with honors, and her J.D. from the University of Minnesota Law School. Won arbitration proceeding for hospital system confirmed by the Ninth Circuit in Scripps v. Blue Cross Blue Shield of Kansas (5/30/14) (Case No. 12-56493). Copyright 2014, American Health Lawyers Association, Washington, DC. Reprint permission granted. Telehealth Law Handbook: A Practical Guide to Virtual Care, (January 2018), (co-author).